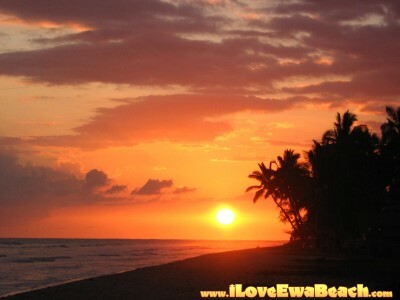 During the winter months the sun sets further south and is visible setting over the ocean from the shorelines in Ewa Beach. 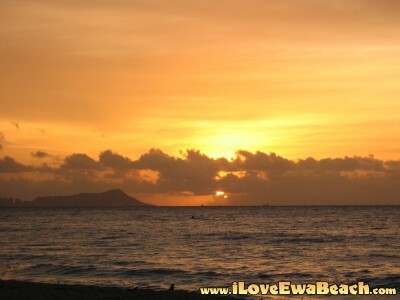 Sunrises are also nice during this time rising to the south of Diamond Head. During the summer months, the sun sets and rises over land but still puts on a great show in the skies.